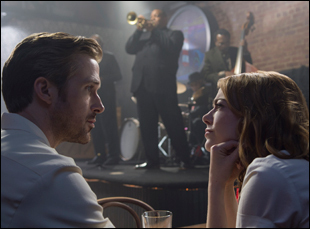 Given its many inspirations from classic Hollywood musical, it’s fitting that to imagine the challenge of filming “La La Land,” one can recall how cartoonist Bob Thaves once complemented Ginger Rogers by saying of her partner Fred Astaire, “Sure, he was great, but don’t forget Ginger Rogers did everything he did…backwards and in high heels.” In Damien Chazelle’s glorious revitalization of the genre, Emma Stone and Ryan Gosling are asked to do everything from a little softshoe, some strenuous toe-tapping and eventually full-on waltzing, but with them every step is the cinematographer Linus Sandgren and a nimble camera crew who gracefully tracks every move they make without giving any indication of the weighty cameras required to conjure such movie magic. 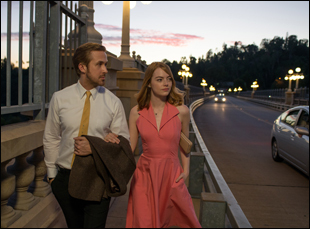 Indeed, the camera in “La La Land” has a mind of its own, but ‎Sandgren was brought in because of his keen ability to follow the emotions of a scene rather than ‎the physics of it, able to ground scenes in reality even when they deliver the extraordinary as Chazelle’s third film does early and often. With a penchant for natural light and inventive camera moves‎ that accentuate the beauty to be found in the movement of everyday life – even the crawl of a stifling traffic jam, the Swedish-born director of photography is able to dispense with artifice and at the same time see the city of Los Angeles and the musical genre anew. Recently, Sandgren spoke of how he embraced a directive to shoot elaborate musical numbers without coverage to cut away to, the special lenses that were created for this specific production, the need to readjust when locations would fall through and creating the film’s distinctive visual language. I’m a huge fan of [Damien’s] work — “Whiplash” was one of my absolute favorite films that year and I was very excited to meet him, but then I got even more so excited [because] he’s a director who can really explain his vision. His whole ambition for the film was very intriguing to me, which was to make a film that was about those dreamers and an homage to old Hollywood and make it in the same way they would’ve done it back then. We had a very similar attitude towards filmmaking and the meeting was set for an hour and it went on for two because we got excited over each other’s [ideas] about this film. 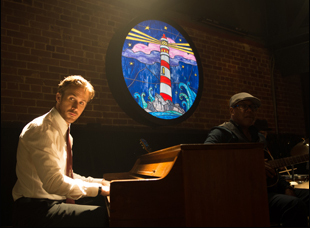 He played the music for me — I got the script, but I didn’t know the music exactly, so when I heard the music, it was really inspiring for me, especially how emotional I thought it was and how that could turn into pictures. He’s a fervent storyboarder too, from what I’ve heard. Did he actually have strong visual ideas from the start? It was a very collaborative process throughout and he draws a lot of storyboards. 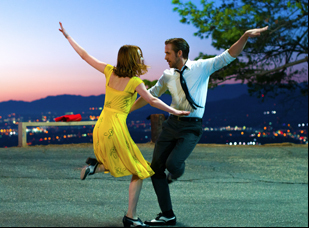 He had a lot of ideas, especially about the actual dance numbers, [about] how he saw how the camera moving and he also explained that he really wanted to make it a more seamless transition between the reality and the dream [scenes] in the film. He didn’t want a socially realistic film [where] you end up cutting to musical numbers, but rather not really to know when to expect the musical numbers, and I think that’s what he asked me to help him with was to bring magic into the real world. The sets that we shot at were basically all real sets, even if they were [at] studios or stages, so [it was my job] to light it or to work with the camera in those environments, even in the normal scenes, so that it would feel heightened in the real world. Also, we noticed early on that we had a similar view of L.A. because both of us are not from there, but we love it and love it for certain reasons. For example, [Damien] explained that he wanted to capture those blue skies at night you sometimes see or the magic hours – the special pink skies in the evenings — and as someone from abroad, I really love the gritty parts of L.A. that people don’t normally appreciate, but both Damien and I found that we really loved those locations for looking like that, and sometimes the light is just magic, so even the grittiest places could be beautiful. We found a lot of that. In prep, we worked together by sitting down together every morning, going through the script and figuring out the blocking of the scenes and looking through if he had notes or storyboards. I drew these floor plans and I figured out how to shoot things to tell the story in a little bit of a musical way all the way through, and then depending on what locations we had or not, we got inspired for different scenes. But we went basically from the first scene to the last throughout prep every day and together, we found the way with the camera – how we intended to do it. We improvised a little bit too, but a lot of scenes were really planned out in advance. You know the whole scene where they’re coming to that party and there’s a swimming pool and this guy jumps into the pool? We had another location for that and already had blocked out how that scene was going to work, but then we lost it. We found a new location and suddenly, there was this roof from which this guy could jump in — there was a guy jumping in the pool already — but now he was jumping in from the ceiling, so it changed everything. You actually establish the visual language of this fairly early on in the film, not with the big opening sequence which is a big moment unto itself, but in a fairly mundane scene where Emma Stone is introduced as a barista and you follow her from one end of a counter to the other. What was it like teaching the audience how to watch the film? That was typical of one of those scenes where in the script, it doesn’t at all tell you how the camera moves in those scenes, but the intention from Damien was that ideally a scene should be a heightened reality moment. You always had to adapt to the story, but the frame of everything was to live in a little bit of a world where the camera was moving, almost like we were a character walking around as well. For that scene, we were looking at different locations for this coffee shop because Warner Brothers wasn’t available for sure, and even without a location, we had an idea of how a coffee shop normally looks and that it would be interesting when she looks over to the side, to follow her there and back. It’s like old school storytelling/blocking with a camera, [where] it’s interesting when actors move in the scene, if you want to be in a closeup or a wide, then let the actors drive you, but then the camera helps as well, like [director Bernardo] Bertolucci and [cinematographer Vittorio] Storaro did in “Spider’s Stratagem” and films like that, [where] they used those long takes to bring an actor in and he walked away, and it becomes a two-shot of two people, then one of them comes to camera and then the camera travels with him. We felt that was something that could give a little more three-dimensional space for the viewer and that was something we found in thinking about the scenes and adapting it to the locations. The actors went through months of rehearsal, and I understand you learned a fair bit during that time as well – what did you ultimately bring from that to the finished film? That was crucial, especially for the numbers where they dance. What was great in prep was that we had this production lot where the actors who were rehearsing for three months with Mandy [Moore], the choreographer, and we had production design going on and the production office [there], so we could park cars outdoors to rehearse camera moves for the [opening] traffic number, even when we didn’t have a location yet. I had to work a lot with Damien and Mandy, readjusting the camera a little bit because we had to struggle with shadows from the sun — the camera would shadow people if we shot it at a certain time and the camera position readjustment made a big difference for how it ends, in that we go up behind people instead of in front of them. It was a huge puzzle to figure out how to shoot that [opening] scene because Damien really wanted the camera to move in a specific way and it created issues in that specific location because it had suddenly not only [freeway] lanes, but [there was a] blocking median in between lanes, so we couldn’t just walk around with a steadicam. We had to use a crane, then the crane causes shadows, so we had to rethink it a little and try to be a little smart about it. But the rehearsals always gave us the answers for how to shoot it, then on the day of the shoot, we always spent a lot of time rehearsing before we actually rolled film. Some scenes like where [Sebastian and Mia] walk up Mulholland Drive and they start to sing and dance, Damien wanted that scene in particular of them in magic hour because of the scene’s character, so we rehearsed that scene all day on the day we shot, but then we shot it in 45 minutes time – five takes, and we came back the next day to shoot 45 minutes again, five takes. It was very important that it was genuinely captured that moment because we believed that would translate into the film better if it was actually happening for real in that moment, so [we would] really capture it in one long take and never use another camera and not to shoot when it was black outside and just put in another sky later. If you’re working with film as opposed to digital and using old fashioned techniques in some circumstances, is it difficult to find a crew that can pull this off? No, because I actually always shoot film, and my crew was my regular camera crew. But I always try to find people who are really professional and know how to do things. I appreciate camera assistants who actually know how to pull focus on 35 [mm] because when you pull focus on digital, people tend to use monitors more and I appreciate when they can just judge distance with their eyes and not trust the monitor. I appreciate people having the craft, so I usually try to collect those people and bring them with me wherever I go. The crew is crucial for me, and I was lucky to have a great crew on this one. I look a lot into their character – not only into their resume, but who they are, how they look at things themselves and what attitude they have. I really like people who are humble and are appreciative to do things properly. Ari Robbins, the steadicam operator I had on this film, is someone I only worked on commercials with before, but I really, really always loved his work and how he works. I tried to get him on another film that I couldn’t, but I got him on this film and Damien loved him instantly – his attitude — and we knew he was going to nail it. He’s a really creative camera operator, so we were lucky having him because like the scene where Ryan Gosling walks out on the pier, singing by himself [“City of Stars”], that was a crucial moment where we had only like 30 minutes to shoot it. I remember we did 15 takes and each take camera-wise was perfect, and the only thing that really changed was the lighting, but he kept the horizon on the steadicam. It was remarkable to me. I had never seen a steadicam operator solid like him. Probably, there were some challenges with [using] film in the sense that you couldn’t work on lighter cameras and in some scenes, it would’ve been easier, but I appreciated the film stock for being able to capture more colors and a richer image — the film stock itself helps to create the magic in a real world. It exaggerates the colors. In this film, we used a lot of blue/green street lights and you hardly see it with your eyes and the digital camera hardly sees it, but with the film really, it pops as an aqua blue. You have to figure out how to use whatever could be a problem with the camera, but we have so much modern technology now for filmmaking that there’s all kinds of tools to use to be able to use all sorts of cameras on any kinds of shots. And that’s part of it too to figure out how to do it. In many of those scenes, we felt it was impossible until the moment we nailed it. You’ve mentioned having lenses created specifically for this film. What went into them? Because Damien really wanted to use only one camera in many scenes and not cut the camera and do coverage, we figured we were going to end up needing to get very close, but also very far away in the same scene, [requiring] a dynamic camera. We realized we were going to use 40mm anamorphic a lot, which is a wide angle lens, but those normally have restrictions in terms of how close you can get to a subject, so we needed to ask Dan Sasaki [the VP of optical engineering at Panavision] to make a lens that was a 40mm, but had a closer focus than the regular anamorphic. He’s a magician, so we were actually able to make the close focus much shorter on the lens and he made a new lens for us that was basically an anamorphic specialty lens that we could use in those situations. He also made a 16mm anamorphic lens for the footage we have where [Mia and Sebastian are] watching home movies on a projector later on in the film. We also wanted to shoot Cinemascope, but instead of shooting in 2.35 [aspect ratio], like a normal, modern Scope film with [Damien’s] intention of making an homage to classic Hollywood, I felt that it could be interesting, if like “A Star is Born,” which was shot in 2.55, why not do [that]? You actually can shoot even 2.66 actually, if you shoot Super 35 silent and then go anamorphic, so Panavision made new ground glass for us at 2.55 and adjusted some lenses to fit. Some lenses didn’t really fit that format, so you see a little bit of a vignette sometimes [- the reduction of an image’s brightness or saturation at the periphery compared to the image center], but we were thinking about if we needed to remove some of those vignettes, and we felt it was better to embrace those little flaws you get in films that actually just show that it’s real and have the look of the film be as honest as possible. Even if we had a little bump on the steadicam, we didn’t stabilize it. We let it be. It felt more nice and genuine to let it be as it was shot as much as possible. What was it like to see the finished film when it all came together? It’s not every time I shoot a film that I want to revisit and rewatch it, but I’ve seen this so many times now. I really love the film and honestly, I think Damien has written something very smart and beautiful because there’s so many layers in the film — questions about love and love of art and love of music and love of filmmaking, and believing in your dreams. It’s unusual for me to feel very much for a film that you’ve worked on yourself, but I enjoy it every time. 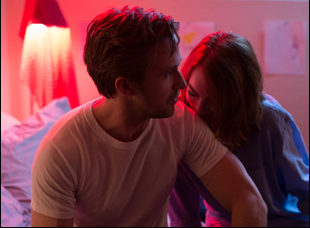 “La La Land” is now open in Los Angeles and New York. It opens in additional cities on December 16th. Interview: Darren Lynn Bousman on on Opening Up the Doors to Hell in "Abattoir"
Interview: Lou Pepe & Keith Fulton on Their Way In to Give Outsiders a Platform in "The Bad Kids"